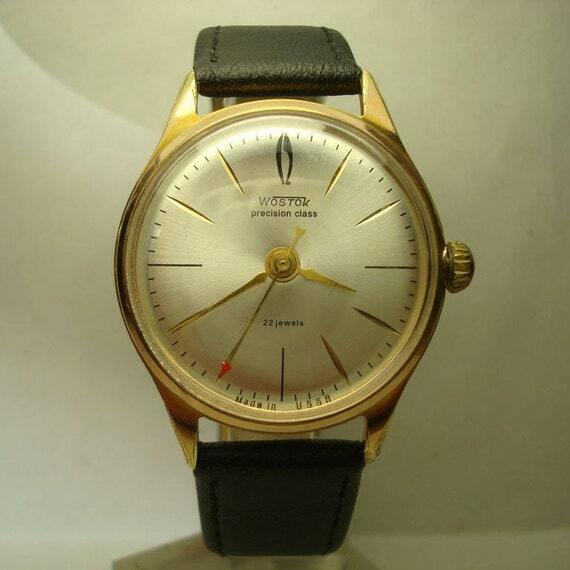 I'm not enough familiar with the Raketa movements to make any definitive claims, but this looks like a 2609.НП (NP). I believe this movement is a 2609 "de luxe", and if I remember correctly I believe it has a hairspring of a high-quality or higher quality alloy, but that's about all I know and I'm not even sure about that. Hopefully one of our comrade experts will chime in. Replaced crown and hands. $20. Last edited by mroatman; October 27th, 2017 at 18:50.
cptwalker, VWatchie and Sansoni7 like this. 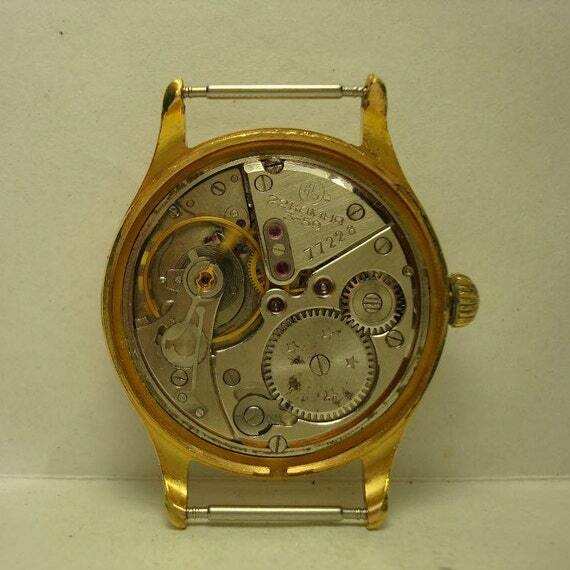 I believe there are only a couple dials that would be authentic with that old movement and that's not one of them. One or the other does not belong. Also there is a reproduction of that dial out. I would be suspicious of that and interested only at a low price for parts without a lot more investigation. Sansoni7 and XsiOn like this. I suspect that this dial belonged to a different model Komandirskie with a type 34 case, and was inserted into the type 29 case you have shown. 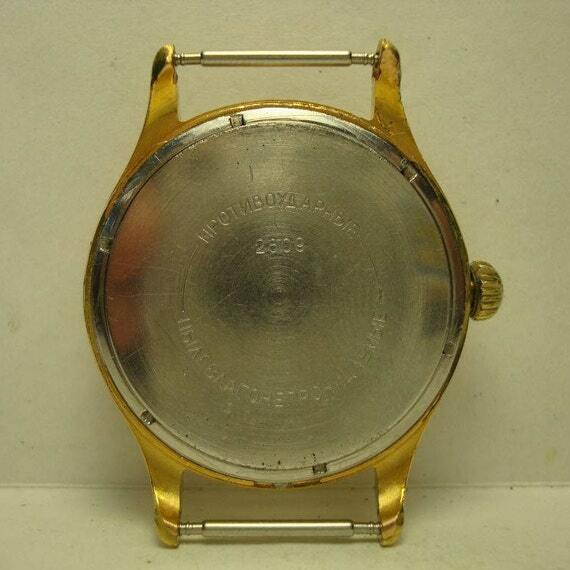 The original dial in the type 29 looked very similar. I have supplied scans of the 1990 Tento Vostok catalog so you can see what I mean. The case you have shown should have the Red Star dial. Last edited by mariomart; October 30th, 2017 at 13:49. Robotmensch, cptwalker and VWatchie like this. The links don't work for me - but you led me in the rights direction (I have the catalogues on my Google Drive :) ) I guess you meant the 291223 and 341226? Yeah links/attachments have been screwy for the past week, but you hit the nail on the head as those are the correct model numbers I was trying to post. Well done, mariomart. Also when you see a komandirskie with two sets of minute marks, there's a problem. mariomart, cptwalker and Robotmensch like this.